“The Witch Burned Alive” is directed by Luchino Visconti and tells of a superstar actress who travels to a mountain resort, only to evoke jealousy from women and lust from men. “Civic Sense”, directed by Mauro Bolognini is a short story of a woman who offers to take an injured man to the hospital, through intense traffic in the bustling city of Rome. “The Earth As Seen By The Moon” is directed by Pier Paolo Pasolini, a comic story about a widowed father and his son who are looking for a new wife and mother; when they find a deaf-mute woman on the side of the road, hilarity ensues. “The Sicilian Belle”, by Franco Rossi, tells of a woman who confesses to her father of a man who makes a pass at her, and whose father seeks revenge in true Sicilian fashion. 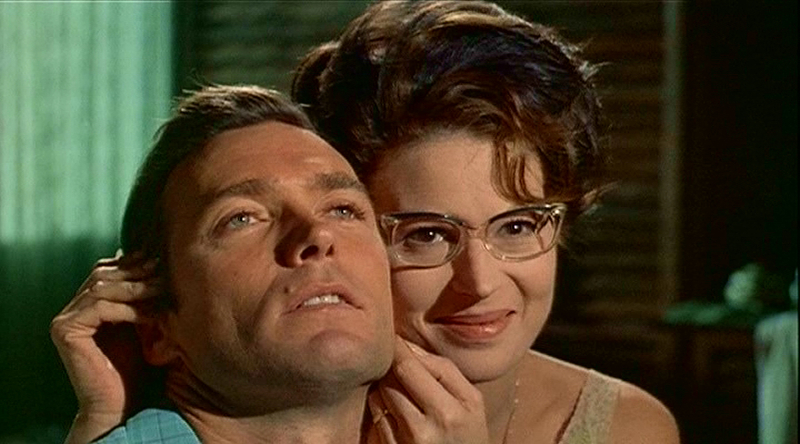 “An Evening Like The Others” is directed by Vittorio De Sica, and is where a bored housewife attempts to explain to her husband (played by Clint Eastwood) that he’s not as romantic as he used to be. I chose to watch The Witches as part of my Blindspot series because it’s been on my radar for quite some time. I’m always intrigued by 60s Italian cinema, which seems to have a very strange sense of humour, killer music, and always the most beautiful costume design. I’m also determined to watch more films by Pier Paolo Pasolini this year, as all I’d seen of his work before The Witches was Salò, or the 120 Days of Sodom (1975), which was an experience, to say the least. The Witches is a funny kind of film. Each short film within the film as a whole has a distinctly different feel from the one before it, given the different directors. It feels like you’re watching different episodes of a very strange television series when watching, given that the one commonality between each short film is actress Silvana Mangano. Mangano gives a thoroughly versatile performance in each short film, to the extent where in some of the short films she appears initially unrecognisable, appearing to contort her body to suit each role. Being the one commonality between each short film, she carries the overall film well, with such a wonderful range of emotions and personalities – vulnerability, assertiveness, insanity, amongst many others. The Witches is truly an experiment in not only short film composition, but character acting and versatility. I think my favourite of the short films was “The Earth As Seen From The Moon” by Pasolini. It’s a comic short, beginning with a humorous introduction written by Pasolini himself, and an unfortunate tombstone with a lot of spelling errors etched on it. The story is weird and overtly silly in an almost pathetic manner, with some very colourful and comical costume design. This is in contrast with some of the other shorts which can be delivered deadpan or in a melodramatic manner. There’s so much variety to be found in The Witches, but Pasolini’s short is the only one with a really silly sense of humour. As for which short film was my second favourite, it would probably be a tie between “The Witch Burned Alive” and “An Evening Like The Others”; strong female roles which bookmark the film, and display excellent performances by Mangano. The short films are set to music by classic Italian composer Ennio Morricone which recalls a very specific place and time; so European, so 60s. The Witches is an adventure in absurdism, rendered in true 60s Italian style. Each short film is very different compared to the one before it, but each is enjoyable in their own way. Some may say that the sum of this film’s parts doesn’t amount to much, and that it is largely nonsensical; which could be true. But it’s a truly interesting film, experimental in style, continually testing its own boundaries in terms of storytelling, humour, and the portrayal and interpretation of female characters. 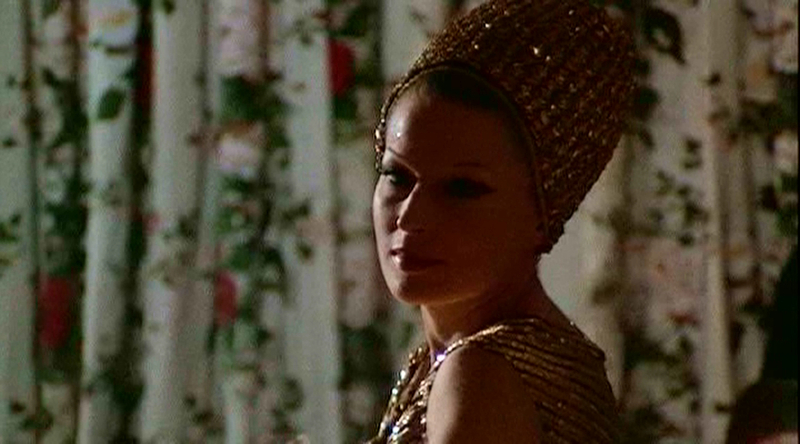 Sylvana Mangano is the strong backbone of this film, eminently watchable, you can’t take your eyes away from her. It’s well worth also checking out a boyishly young Clint Eastwood in the final short film; this film being released just after the third and final of his epic spaghetti western Dollars Trilogy. For a strange and enjoyably vintage film-watching experience, look no further. I couldn’t find a trailer for this, but view some footage from the film of Sylvana Mangano dancing here. Haven’t seen this and it looks pretty good. Will have to catch it if I can. For sure! It’s one of those films I never really heard about but was always on the periphery. A really interesting one. Seems like an interesting and diverse view of women in society. Sounds cool! It’s a really cool film! Lots of different types of women and roles to analyse. I will have to try this film sometime, I don’t get to see as much Italian cinema as I probably should, there was one I saw, about a photographer given the power to kill anyone, merely by photographing a picture of that person, but I don’t remember it’s name. Wow! Sounds like a film I would probably enjoy. Off to Google and find out its title! Yes, I love anthology films like this. They’re kind of like reading books of short stories. Lots of big ideas in little packages. Much like your description of that Michael Jackson movie, “an adventure in absurdism” sounds like something I wanna watch too! Pasolini was a genius! Although I wouldn’t suggest starting with Salo, that is one extreme and disturbing film!